Male. Taken at Irinovac, Croatia, on June 6th 2017. Female. Taken at Gracac, Croatia, on June 7th 2017. 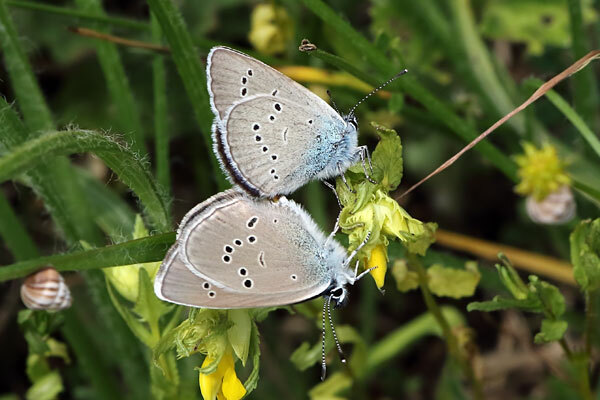 Mating pair. Taken in Velebits National Park, Croatia, on June 10th 2017. A medium-sized blue, which became extinct in the British Isles at the beginning of the 20th century. The male's upper wings are blue, with black veins and white fringes. The female is brown with a faint violet flush at the base. Both sexes lack orange markings. 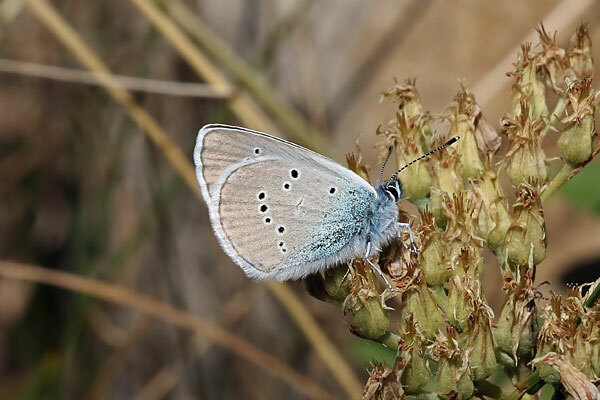 The Mazarine Blue is found throughout continental Europe, even reaching into the Arctic Circle, Asia, the Middle East, and Morocco. Its habitats are meadows, pastures, grasslands and flowery areas. It seems to prefer places which are not fertilized and not used for fodder production. There is usually one generation between May and August, depending on altitude and latitude. The larva is the over-wintering stage. 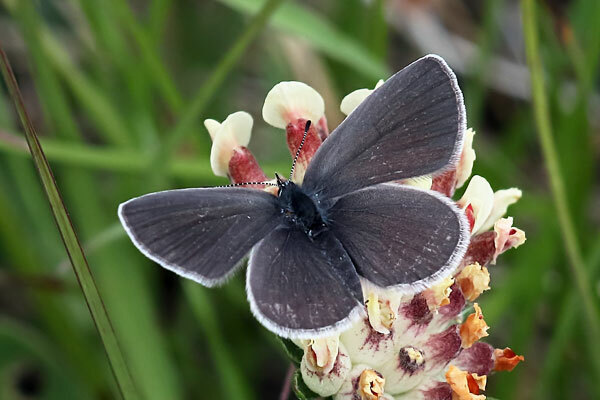 Larval food plants are Red Clover and other species of Trifolium. Larvae are attended by Lasius sp. ants. Adults roost communally on grass stems.